A couple of weeks ago I received a handmade journal from Ryan at Oddities & Entities. I love to write (surprising, I know) in journals! I first started to keep a journal in middle school and as I got older I began to choose certain types of journals to write in. I felt that while this was an inanimate object that it was helpful to almost “feel a connection with” the blank book I was sharing my most intimate thoughts. I found that I preferred journals that either opened flat or were spiral bound as those are easiest to write in and those with ‘pretty’ pages. I had never had a made by hand journal before and was so excited to receive this one. Ryan said that I could pick the thread color and the color of the interior cover. I chose teal from the long list of thread colors and said that I’d love either matching teal or contrasting purple as the interior cover color. 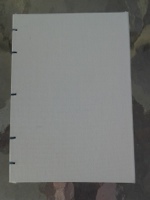 I also choose parchment looking paper and asked for as many pages as possible. When Ryan emailed me just about a day later that my journal was finished I was amazed! Literally less than a week went by before I received my custom journal. I immediately tore into the package to pull out my brand new journal. 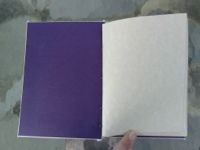 This beautifully created blank book has a white canvas covered board with dark purple on the inside of the covers. 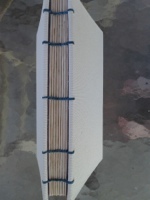 After admiring the even stitching on the open spine I looked up a little bit of information about book binding. I learned that the stitch Ryan uses is called a coptic stitch. And the final product reminds me a little of a braid. I also read that this type of open binding allows the book to lie flat which makes writing easier. Sure enough I found that my journal laid flat. According to wikipedia, Coptic binding was developed by Christian Egyptians, the Copts, as early as the 2nd to 11th Centuries C.E. and could be covered or left uncovered in which case glue wasn’t need. I find that so amazing that such an old art is still being used by artist such as Ryan still today! 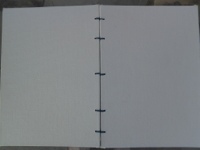 Coptic bindings differ from European binding from the 8th Century C.E. onward in that Coptic contains codices or sections of papyrus (or paper nowadays) folded in half that are chain stitched together. 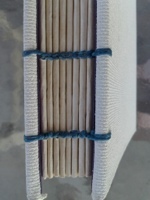 Whereas European binding (traditional hardcovers) used cord running throughout all the pages, but needed a covering on the spine and glue (which eventually decomposes). I was very impressed to learn that this very old style of book binding hasn’t been lost and is still practiced today. I love the look of this very old style and look forward to writing in my very special journal for quite awhile. 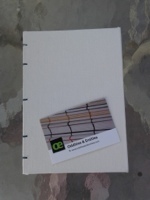 You can purchase your own customized handmade journal from Ryan’s Oddities & Entities Etsy page where you can choose what size you want along with thread color, interior cover color, from options other further personalize your journal. 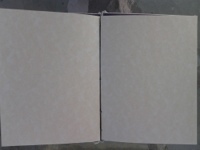 I received a 5×7 inch journal which is the size of a typical paperback. Since the covers are canvas covered I am planning to paint them with my acryllic paints. 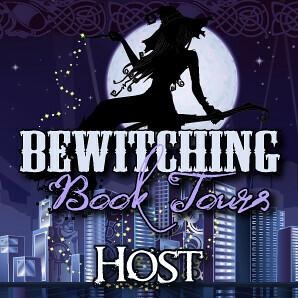 Once I have finished I will take pictures and post them on my blog. Do you keep a journal? Or have you kept one in the past? 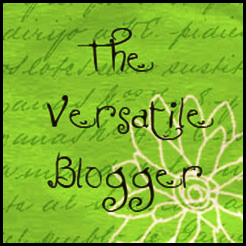 If so, do you write consistently or sporadically? 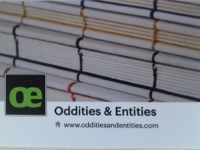 Disclaimer: I received this item complimentary from Oddities & Entities for the purpose of this review. All opinions are mine. Please see my disclaimer policy for more information.